The physical and psychological effects of mass casualty events on healthcare staff are severe, under-reported and under-appreciated, according to senior medics writing in the British Medical Journal. The effect of events such as terror attacks and the Grenfell Tower fire could be felt for months in nearby hospitals, it says. 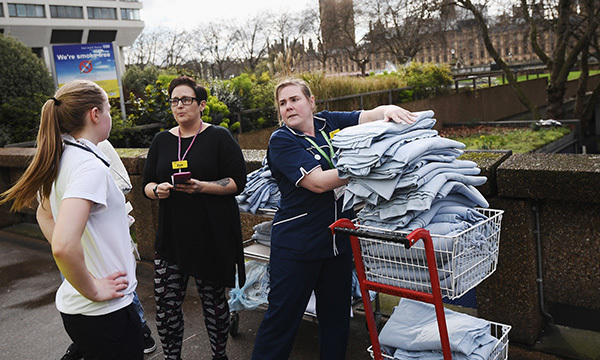 As well as requiring extra resources, the NHS needs to prepare for the physical and psychological demands on staff, giving them time to recuperate after the extraordinary demands placed on them in the immediate aftermath. ‘They often witness death and life-changing injuries against a backdrop of physical exhaustion,’ the authors write. The psychological needs of staff should be recognised as an important reason, in addition to demands on physical resources, for a delay before ‘normal’ elective work resumes, say the authors, who include NHS England national clinical director and trauma surgeon Chris Moran. ‘The front door of the hospital being open for regular activity is not a signal that all inpatient services are back to normal,’ the article says. Meanwhile, traumatic incidents can impose profound psychological stress on patients, their families, the bereaved, witnesses and the wider community. ‘Hospitals should expect and plan for effects lasting weeks or even months after a mass casualty event,’ the authors say. ‘Demands on resources remain high, including physical, emotional and psychological demands on healthcare staff.